I could hardly believe my eyes this morning when I looked out the window and saw snow! It was only days ago that we had wonderfully warm 60 degree weather but one thing is for certain, cold weather has definitely hit and for seniors (pets and people!) arthritis can become a serious issue. If left unchecked arthritis can cause permanent damage to joints and make life unbearable. Take control of your pet’s arthritis so that they can be happy and comfortable in the colder months. Activity! Moving those arthritic joints is the best medicine. 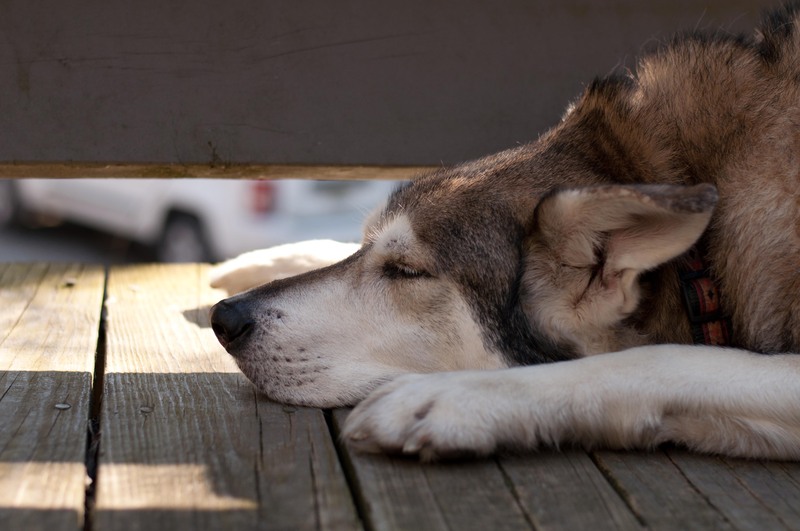 It can be a daunting task to get your arthritic pet up and moving, but it needs to happen. For your arthritic dog, take slow and steady walks around the block. Build up the amount of time you spend walking each day. An arthritic cat needs to get playing! Find what your kitty likes to play with and get them moving. Cat nip, laser pointer, jingle balls, whatever it takes! Supplements can help repair damaged joints but they don’t work overnight. You need to start a regular regimen of supplements in order to make an impact. Keep in mind that supplements aren’t painkillers. In extreme cases medication could be used, but always consider the risks and side effects. While medication can ease pain, it isn’t a truly long-term solution. Keep your pet warm. A toasty pet is a happy pet. If your pet is comfortable wearing sweaters then put one on them, especially when going outdoors. There are also pet-safe heated blankets and beds available. Two of our favorite bloggers, Will and his wonder-dog Eko of “Marking Our Territory“, absolutely love nights in front of the fireplace. If you have lots of tile or hardwood flooring, give your pet a nice corner full of plush blankets. They’ll thank you for it later. Alternative medicine is available for pets. There are a number of professionals in the area that offer acupuncture, massage, and other therapies for the arthritic pet. Don’t shy away from these options if they seem unusual. Many pets and people have found relief using these methods. For more tips for arthritic pets check out PetMD! Eko has adopted your motto – “A toasty pet is a happy pet” – as his own. Relaxing with your pet in front of a fire is just about as good as it gets!